I like the first one most; the pun came to me after reading William Gibson’s tweet: So many *ucks will need to be given, in 2017. 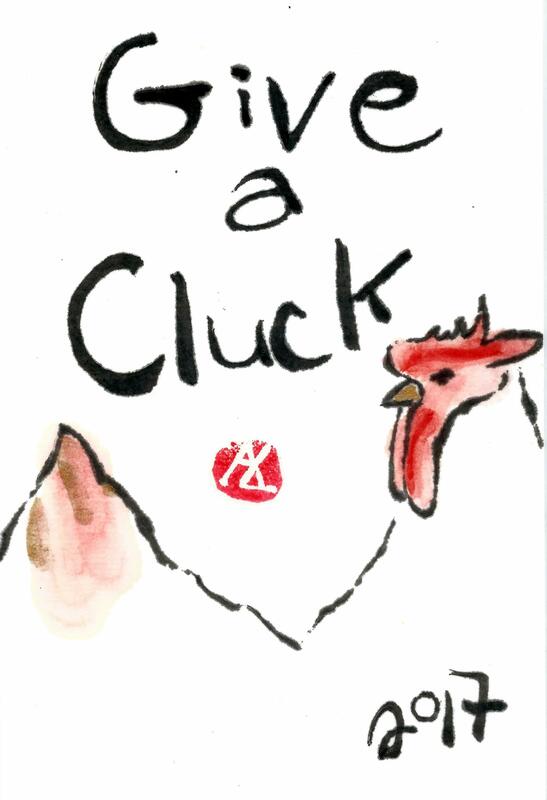 Start growing yours now.” Yes, I punnified the f-bomb to “Give a Cluck,” both to reflect the theme of the year of the rooster, and perhaps out of some shyness. (I’m not sure why I’m shy about the f-bomb now — having posted etegami about “decorative gourd season, mother*uckers” here….) I am thinking of how to illustrate a card with Gibson’s original words… give me time. I’ll hang this one in my office reminding me that there’s a lot to give a *uck about this coming year. 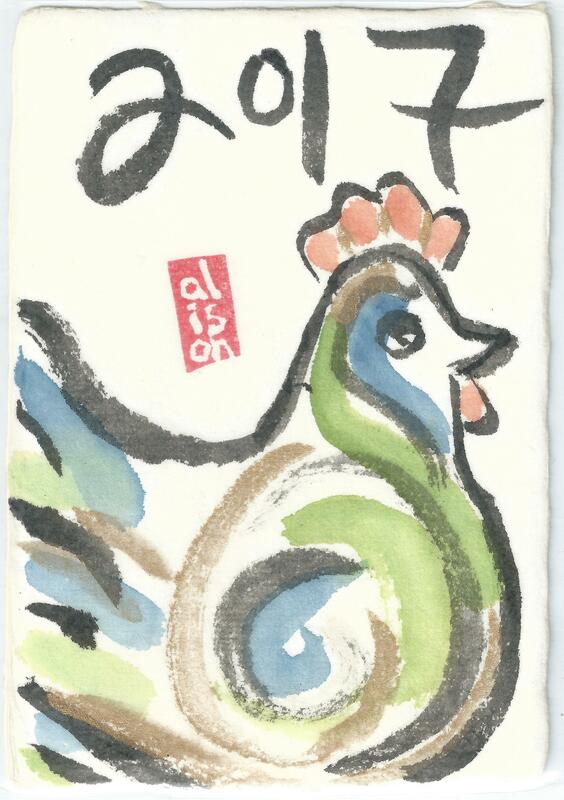 This rooster was painted on handmade paper I bought in Japan. I drew it based on one of my first Christmas tree ornaments, from the mid 1970s, but took a lot of liberty with the color scheme, ignoring the original’s red. 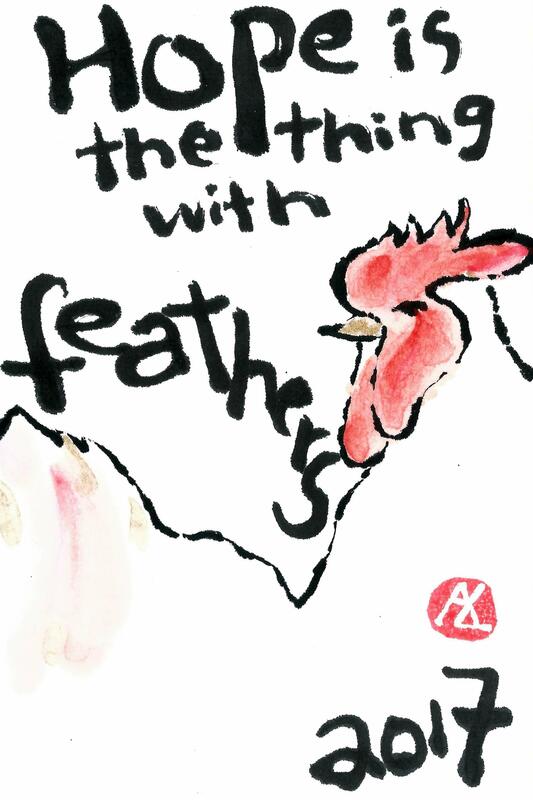 The last two riff off a line from Emily Dickinson, “Hope is the thing with feathers,” a line I have used a lot in the last year on cards. 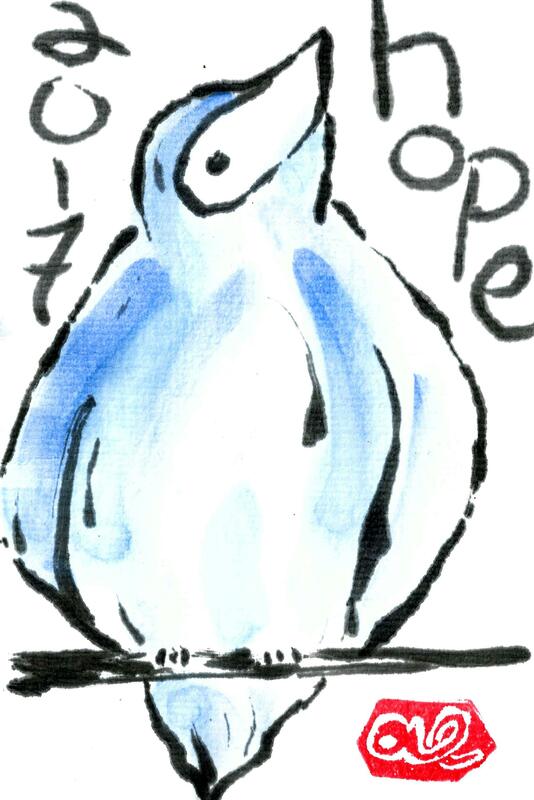 I steered away from the rooster of the Chinese zodiac with the blue bird, looking hopefully to the sky. The last one is a card I made multiples of, sending to many friends and family.